FOSTERS, Alabama (May 11, 2016) — Two pieces of real estate formerly owned by Danny Ray Butler are being sold at auction, with Rowell Auctions managing the auction for Alabama One Credit Union. 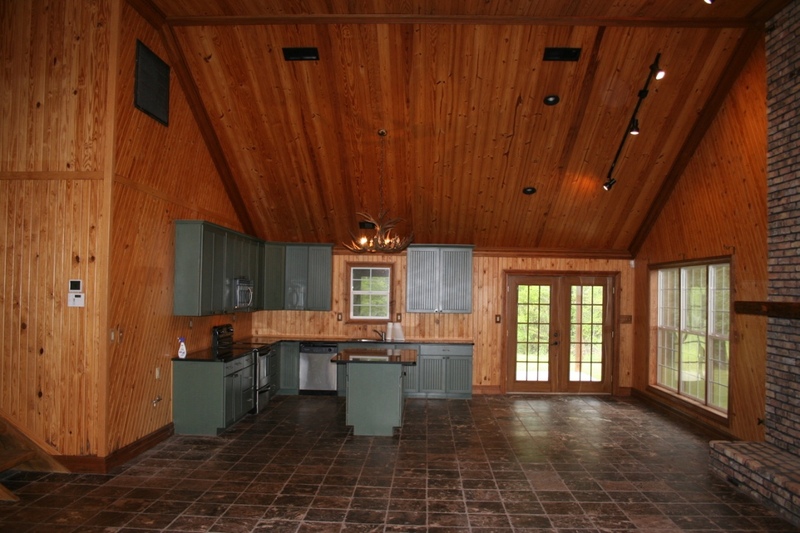 The 108-acre “Butler Cabin” property features the well-known cabin, a lodge, an event center, a private lake and docks. “The Butler Cabin property has functioned as a self-contained resort and retreat hosting events for families, organizations, student groups and others, including fraternities and sororities from the University of Alabama,” said Mark Manley, who is managing the event for Rowell Auctions. The second tract consists of 134 acres of recreation/timber land. “The 7,300-square-foot entertainment hall has a bar, a recreation room, a theater room, and an upstairs apartment, as well as an area to set up a stage. The hall is large enough that Mr. Butler actually used it to show his collection of cars. The lodge is 3,600 square feet and has a very nice bar and a beautiful gun room,” said Manley. “Each tract may be purchased individually, but taken together, the properties could be used for a very nice corporate, church, or private retreat that combines meeting areas, hunting, hiking and other outdoor recreation,” he said. “For potential purchasers, this auction presents a one-time opportunity to own a truly unique property with immediate interstate access. I am not sure what else you could ask for if you are looking for a private personal retreat or local business development opportunity. The future owner will have several options available,” said Manley. The auction will begin at 6 p.m. Tuesday, June 7 at the Bryant Conference Center. Individuals interested in additional information may visit www.rowellauctions.com or call 800-323-8388.